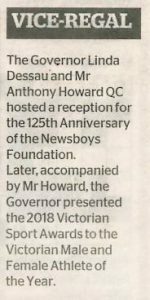 The Honourable Linda Dessau AC, Governor of Victoria, hosted a morning reception at Government House on Wednesday 20 February to celebrate 125 years of Newsboys Foundation and its predecessors. More than 125 guests were in attendance as The Governor outlined the “remarkable” history of Newsboys, how it has changed and evolved over more than a century and yet, at its core, has essentially remained the same by working to help young Victorians live fulfilled lives. Please enjoy our selection of photographs depicting the event and a big thank you to The Governor and her husband Mr Anthony Howard, guests and supporters. To celebrate Newsboys Foundation’s 125th anniversary, we collaborated with Melbourne Youth Orchestras (MYO), Outer Urban Projects (OUP) and the Melbourne Recital Centre to present the 125 BPM concert at the Melbourne Recital Centre. The concert featured didgeridoo virtuoso and composer William Barton. There was also a guest appearance by Bob Urquhart, Newsboy of the Year in 1947 and Natalie Lucic from Western Edge Youth Arts. We were delighted to have Margaret Tran, winner of the 2014 Newsboys Foundation Youth Leadership Award to welcome guests and introduce Bob. Margaret, Bob, and all the young performers provided inspiring examples of people who have benefited from Newsboys support. The concert was an outstanding success! 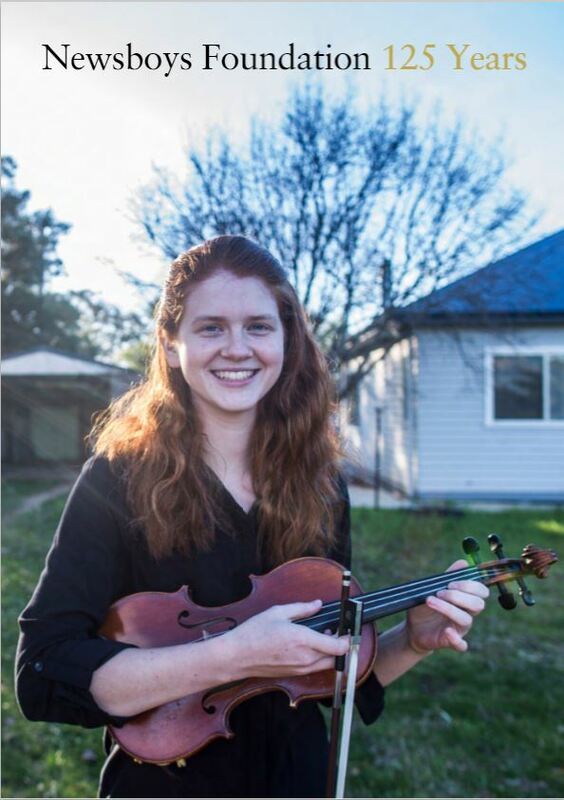 Big thanks to MYO, OUP and the Melbourne Recital Centre. Congratulations to William Barton, Brett Kelly, Irine Vela and all the young people who performed so brilliantly. 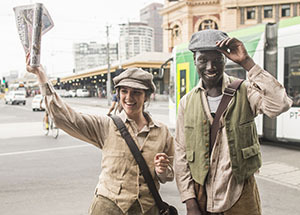 As part of the Newsboys Foundation 125th anniversary celebrations, we were delighted to partner with Kids Thrive and Arts Centre Melbourne to deliver the inaugural Kids Manifesto event. It was an amazing day! Read all about it on the Kids Thrive website. Congratulations to Kids Thrive on a wonderful event and a big thanks to Arts Centre Melbourne, the Sidney Myer Fund and the William Buckland Foundation for their support. Watch the video below to get a fun sense of our past, our present and where we are going in the future.